I have been chief R Scientist at AnalyticsVidhya ( Vidhya means knowledge in Sanskrit) where I am helping with thoughts, answering questions on discussion forum and writing posts. What I like about AnalyticsVidhya (apart from the 100,000 + page views they now get every month) is they help spread my views to a bigger broader audience and they also partner with me in helping create better posts through both active editorial suggestions and graphic design inputs. Now helping spread analytics and getting paid for that- truly I am blessed and living the dream! 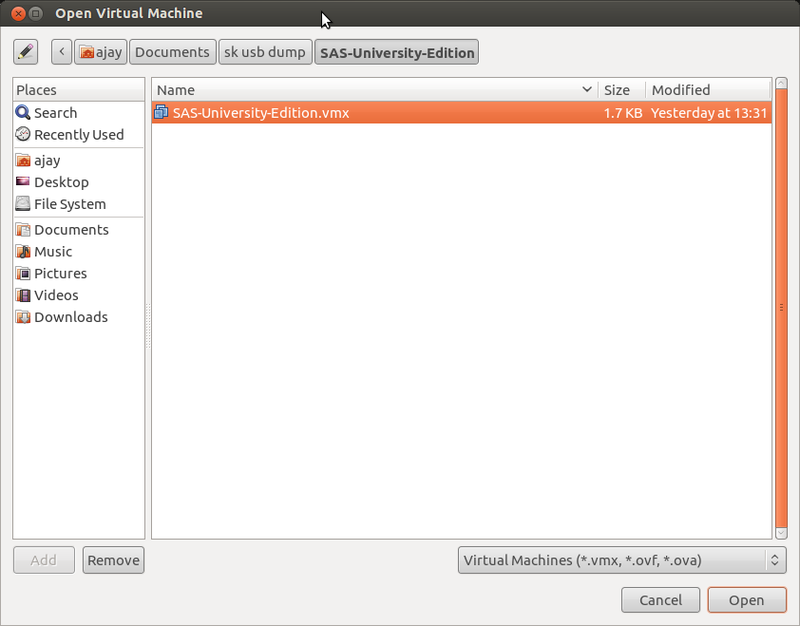 I recently managed to get a copy of SAS University Edition. 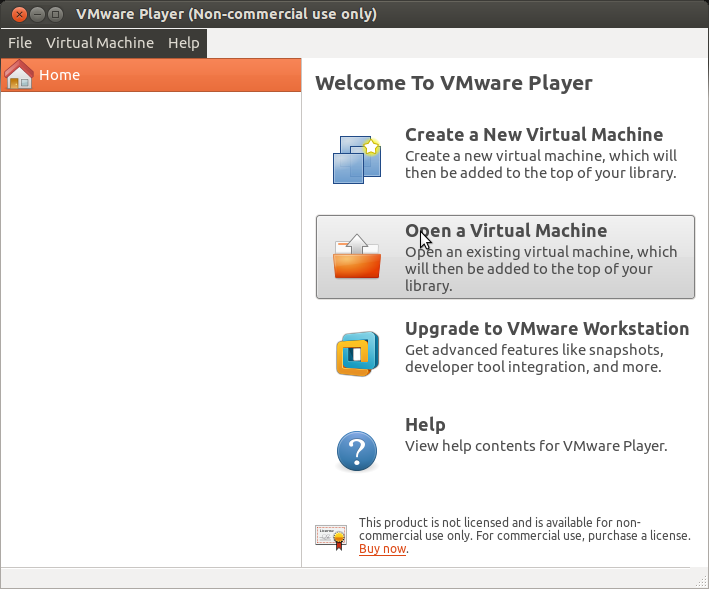 1) Here were some problems I had to resolve- The download size is 1.5 gb of a zipped file ( a virtual machine image). Since I have a internet broadband based in India it led to many failed attempts before I could get it. The unzipped file is almost 3.5 gb. 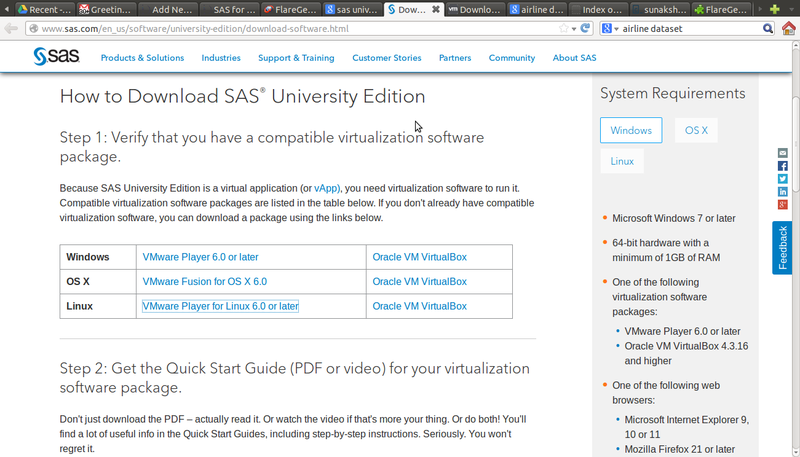 You can get the download file here http://www.sas.com/en_us/software/university-edition/download-software.html. Secondly the hardware needed is 64 bit, so I basically upgraded my Dell Computer. This was a useful upgrade for me anyway. 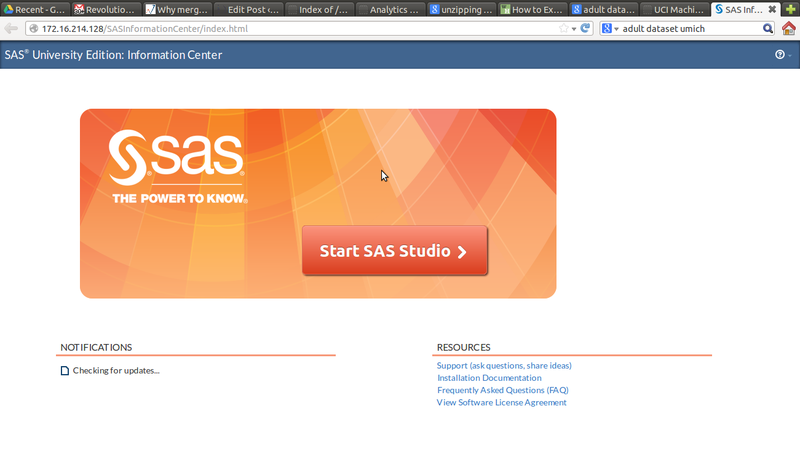 I was able to open the SAS Studio at the IP Address provided. 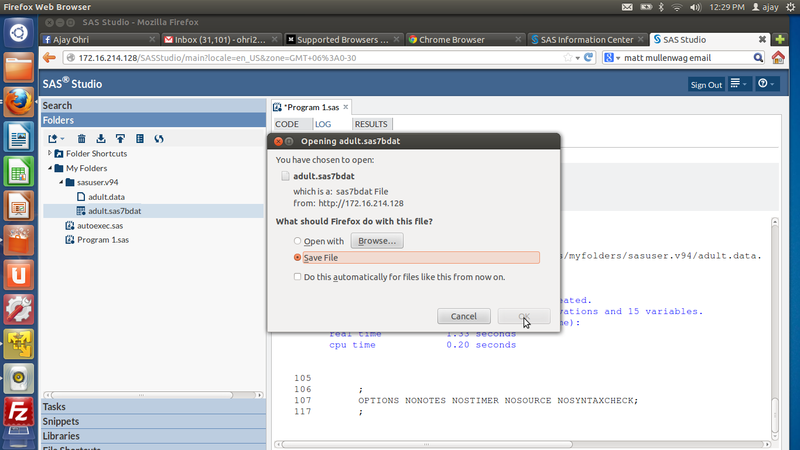 SAS is case insensitive while R is case sensitive. This is a blessing especially for variable and dataset names. 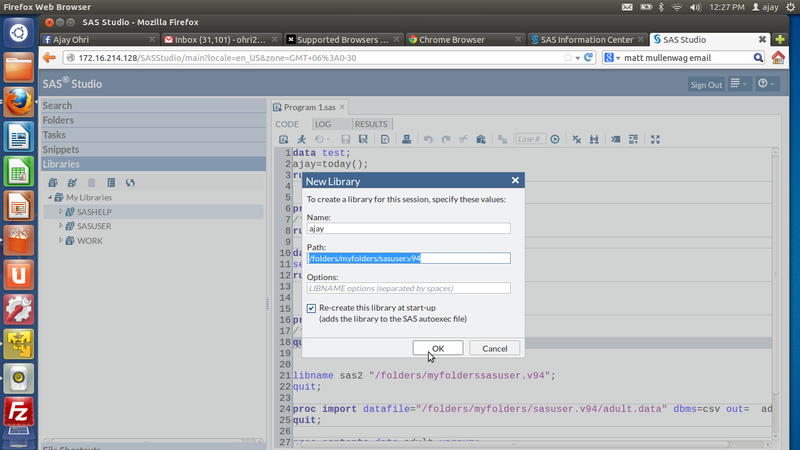 SAS deals with Datasets than can be considered the same as Rs Data Frame. R’s flexibility in data types is not really comparable to SAS as it is quite fast enough. You have to pay for each upgrade in SAS ecosystem. I am not clear on the transparent pricing, which components does what and whether they have a cloud option for renting by the hour. How about one web page that lists product description and price. 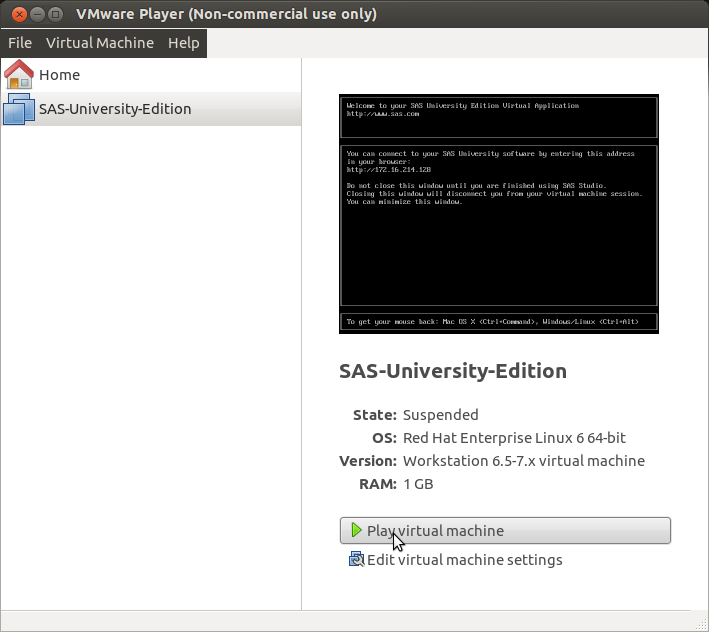 SAS University Edition is a OS agnostic tool, for that itself it is quite impressive compared to say Academic Edition of Revolution Analytics. 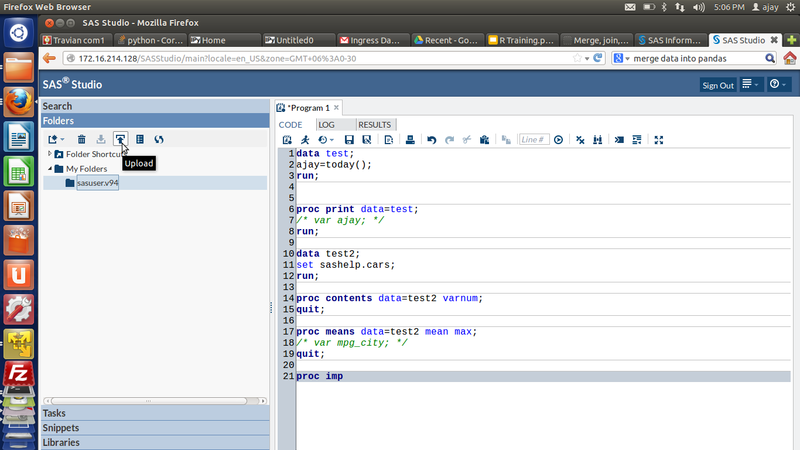 SAS language has a few basic procs but many many options. Graphics is still better in R ggplot. But the SAS speed is thrilling. RAM is limited in the University Edition to 1 GB but I found that still quite fast. However I can upload only a 10 mb file to the SAS Studio for University Edition which I found reasonable for teaching purposes. I really liked the mature design, and foundation of this charitable organization. While it is similar to FOAS in many ways (http://www.foastat.org/projects.html) I like the projects . Excellent projects and some of which I think should be featured in Journal of Statistical Software– (since there is a seperate R Journal) unless it wants to be overtly R focused. NumPy is the fundamental package needed for scientific computing with Python. Besides its obvious scientific uses, NumPy can also be used as an efficient multi-dimensional container of generic data. Arbitrary data-types can be defined. This allows NumPy to seamlessly and speedily integrate with a wide variety of databases. Repositories for NumPy binaries: http://www.lfd.uci.edu/~gohlke/pythonlibs/#numpy, a variety of versions – http://sourceforge.net/projects/numpy/files/NumPy/, version 1.6.1 – http://sourceforge.net/projects/numpy/files/NumPy/1.6.1/. 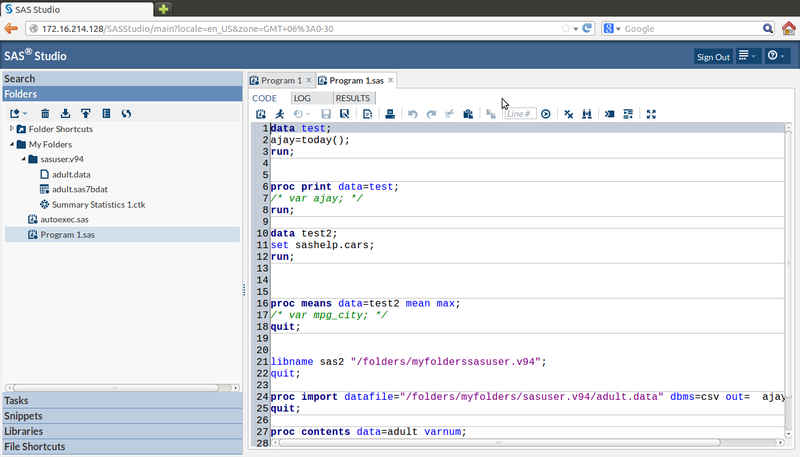 SciPy is open-source software for mathematics, science, and engineering. It is also the name of a very popular conference on scientific programming with Python. The SciPy library depends on NumPy, which provides convenient and fast N-dimensional array manipulation. The SciPy library is built to work with NumPy arrays, and provides many user-friendly and efficient numerical routines such as routines for numerical integration and optimization. 2D plotting library for Python that produces high quality figures that can be used in various hardcopy and interactive environments. matplolib is compatiable with python scripts and the python and ipython shells. High quality open source python shell that includes tools for high level and interactive parallel computing. Cython is a language based on Pyrex that makes writing C extensions for Python as easy as writing them in Python itself. Cython supports calling C functions and declaring C types on variables and class attributes, allowing the compiler to generate very efficient C code from Cython code. Free high-quality and peer-reviewed volunteer produced collection of algorithms for image processing. Module designed for scientific pythons that provides accesible solutions to machine learning problems. Statsmodels is a Python package that provides a complement to scipy for statistical computations including descriptive statistics and estimation of statistical models. Interactive development environment for Python that features advanced editing, interactive testing, debugging and introspection capabilities, as well as a numerical computing environment made possible through the support of Ipython, NumPy, SciPy, and matplotlib. NumFOCUS is currently looking for representatives to enable us to promote the following projects. For information contact us at: info@NumFOCUS.org. Open source mathematics sofware system that combines existing open-source packages into a Python-based interface. Free scientific and engineering development software used for numerical computations, and analysis and visualization of data using the Python programmimg language. Revolution Analytics has been nice enough to provide both datasets and code for analyzing Big Data in R.
while the Datasets collection is still elementary, as a R Instructor I find this list extremely useful. 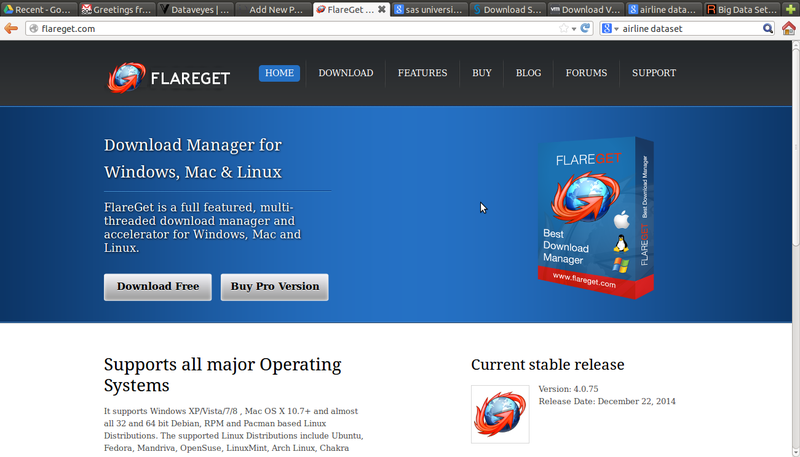 However I wish they look at some other repositories and make .xdf and “tidy” csv versions. A little bit of RODBC usage should help, and so will some descriptions. Maybe they should partner with Quandl, DataMarket, or Infochimps on this initiative than do it alone. 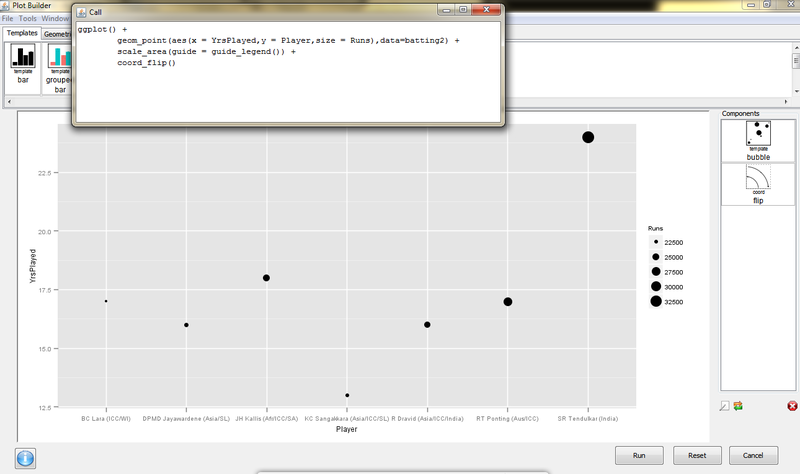 Also a recent project made by a student of mine on Revolution Datasets and using their blog posts.